Here, our Edmonton dentists describe what we’ll need to know and what you’ll need to bring for your first dental appointment at our office. In order to provide you with the most appropriate care for your dental health needs, we’ll need to know about your dental and medical history. This includes everything from the medications you’re taking (that may be unrelated to your dental care) to dental restorations and procedures that you’ve undergone in the past, and x-rays. These details will help us develop a dental healthcare plan that is customized for your unique requirements. With your permission, your previous dental office will be able to forward us your existing files and information. That said, we will ask you to fill out a new Patient History Form upon your arrival for your first appointment with us, to ensure all the details we have are all up to date. After each appointment you have with us, our administrative team will submit insurances claim forms to your insurance company on your behalf. In order to do this, we will need you to supply up-to-date details regarding your insurance plan, including the insurer name and mailing address, the group/policy/contract number, and your ID/certificate number. Please be sure to have this information handy for your first appointment with us. Your first visit to our Edmonton dental office will includes a comprehensive review of your dental needs and concerns, a review of your health history, a dental exam by your new dentist, and a cleaning performed by the dental hygienist. 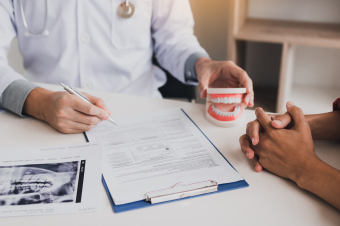 During your first appointment, our team will be happy to discuss your questions, concerns and goals with you, and develop a dental health care plan that addresses all your needs. Before your first visit with us, take a few minutes to think over what you’d like to discuss with us, so that your concerns are at the forefront of your mind when the time comes for your appointment. 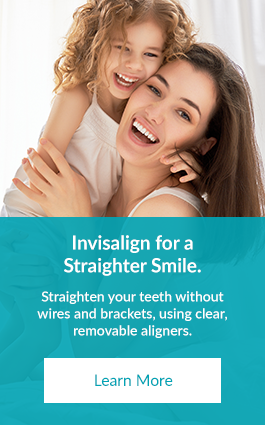 For more information about what to bring along with you to your first appointment with your new Edmonton dentist, please feel free to contact our office any time.